The trials and tribulations of Sony’s Uncharted adaptation have been abundantly well-documented, as the live-action take on the Naughty Dog adventure videogame series has gone through one director another during its decade-plus in development purgatory. Assuming they’re able to keep him around, the film’s latest director is an exciting one: Dan Trachtenberg, who made his feature directorial debut with 2016’s acclaimed 10 Cloverfield Lane. Tom Holland remains attached to star as a young Nathan Drake, per THR. Uncharted lost its latest director Shawn Levy in December after the Stranger Things director and producer opted to helm Fox’s Free Guy instead. Prior to Levy’s departure, Seth Gordon (Baywatch, Horrible Bosses), David O. Russell (Joy, American Hustle) and Neil Burger (The Upside, Divergent) had all been attached to direct the adaptation at one point or another, with the classic culprits of creative differences and scheduling conflicts snuffing out each version before cameras could roll. Sony, who’ve been working on this godforsaken thing since as far back as 2008, are obviously hoping Trachtenberg will finally be the guy to get Uncharted off the ground. 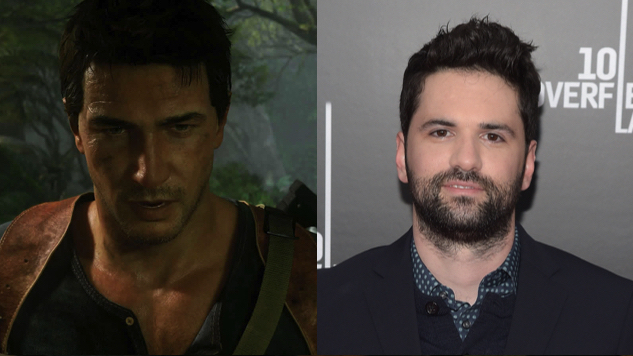 THR describes the adaptation not as a straight-up adaptation of the Naughty Dog game’s plot, but rather as “a prequel that follows protagonist Nathan Drake, a descendant of explorer Sir Francis Drake, as a young treasure hunter learning the tricks of the thieving trade from his would-be mentor, Sully.” The Grey writer-director Joe Carnahan penned the film’s script, which he teased as “monstrously cool” upon its completion back in January 2017. Trachtenberg, a disciple of J.J. Abrams, was nominated for the DGA Award for Outstanding Directorial Achievement in First-Time Feature Film for his impressive debut feature 10 Cloverfield Lane. The tick-tight thriller overachieved at the box office and notched a 90 percent Rotten Tomatoes score in the process, establishing Trachtenberg as a filmmaker to be reckoned with. He’s been quiet since, directing only an episode of Black Mirror—“Playtest,” which we recently ranked among the sci-fi show’s best episodes, praising Trachtenberg’s “knack for psychological horror”—and the premiere episode of Amazon superhero-drama The Boys. Sony hopes to start production on Uncharted later in 2019. Maybe don’t hold your breath, though.